Ever played a piece over and over and it still failed to “stick”? No matter how often you repeat it, when you return back to it it feels as if you are starting from scratch? Don’t worry, there is nothing wrong with you. Likely you just never learned how to practice effectively. Focusing can help and I have some great tips for you in today’s article and an infographic (click thumbnail below) to make it easy to see! In all my teachings I am very careful to engage all learning channels. when you are seeing yourself play the tune, or you see the dots on the fret board, or you imagine fret board diagrams in your mind’s eye, or you figure out note relationships by thinking of a piano keyboard, or you see the chart in front of you (in reality or in your mind). what you hear inside and what you hear as you play. having shapes under your belt. This channel is trained through mechanical repetition. Shapes you play a lot (either because you practice them or because you have them “under your fingers” after years of using them, that is the kinesthetic channel. The bigger your repertoire here, the bigger your palette. song analysis, music theory, talking through the “form” (intro, verse, chorus, bridge etc), knowing the note names on the fret board. If you are learning a song by heart, chord analysis can be a great help here, for example. Or when you and your band mates talk through the form, that is conceptual knowing. here I include anything that may come through and is felt as “inspiration”; for example, interaction with the other musicians and the audience belongs here, thinking about serving the song, interpreting the lyrics… The music you listen to, the heroes who inspire you… And feel free to include unexplainable/divine inspiration here as well. If you improvise, compose or put your own touches to music (you always are, even if you play covers), this channel is in action. We can ask ourselves questions such as – what emotion am I trying to evoke in the listener? Typically, the emotion we then feel as response will inform musical choices. This instinct can be sharpened through active listening and observing of the masters. next time you are stuck learning a tune, try cycling it through these channels. visual: are your fingers on dots or not? Can you see the chart in your mind’s eye? auditory: can you identify intervals you hear with the melody, for example? Can you play through the tune only playing the bass line but hearing the melody at the same time? kinesthetic: can you make out scalar shapes or patterns that you are playing as part of the groove? Any boxes (little or big), boots (upside down or reversed) or other shapes that you can sink your mind into? conceptual: analyze the chord changes of the tune. What do the lyrics say as it goes to the IV chord? Can you find any common chord progressions? How about you try to name the notes you are playing? What chord does the bridge go to? How often does the chorus repeat in the end? By doing this you give your mind “hooks” to sink itself to. Instead of “just notes” you have shapes, visuals, sounds, emotions, stories, lyrics…. this makes it more real to the mind. It also gives you something to do other than to just repeat the song over and over mechanically. And, as I have said before, emotions make it more real. What I am talking about is using these five senses/channels to enhance learning. You cannot deny that they come into play as we learn, so why not use them consciously and with focus? One more thing: the kinesthetic channel is the fastest of them all. 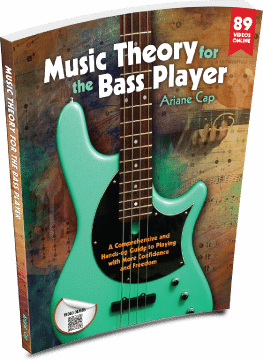 There is no way you can think of theory or naming note names in the speed you can actually play a shape or pattern that you truly have under your fingers with muscle memory. There is a reason they call it that. That said, all channels add to the whole! And one more: all these channels can be practiced away from the instrument. That truly works. That’s for another post or book! Enjoy, and leave a comment! I don’t know I’ll sleep on it…ty, good stuff…I don’t know I’ll sleep on it…ty, good stuff. Thank you for your comment. I know the character minimum is a chore, haha. Sleep well. Sleep well. Sleep well! A really great post. Straight away I was able to see some areas I need to work on at the moment. Thanks!